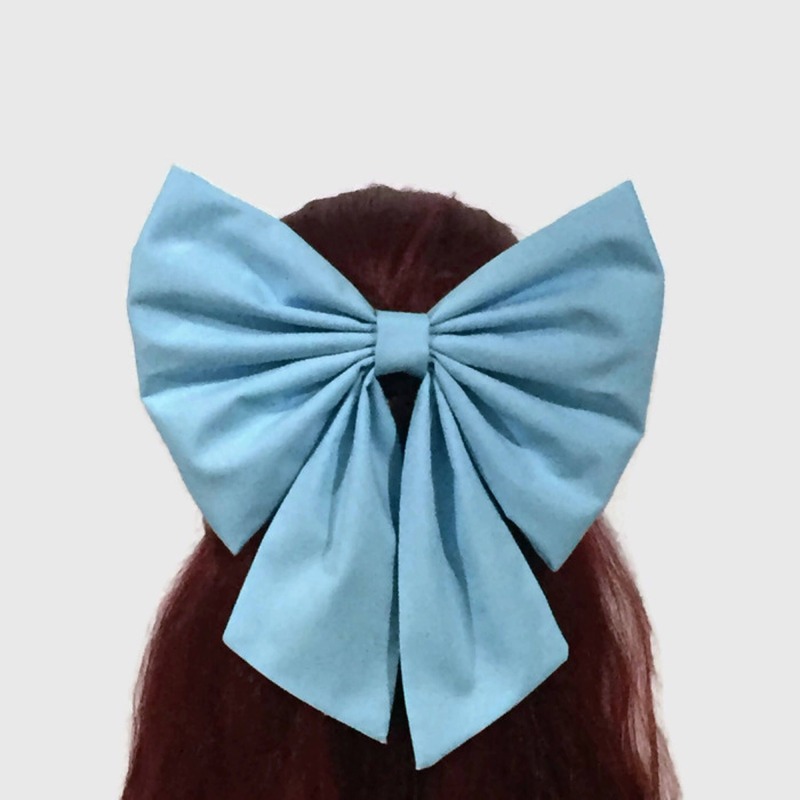 Very large hair bow. 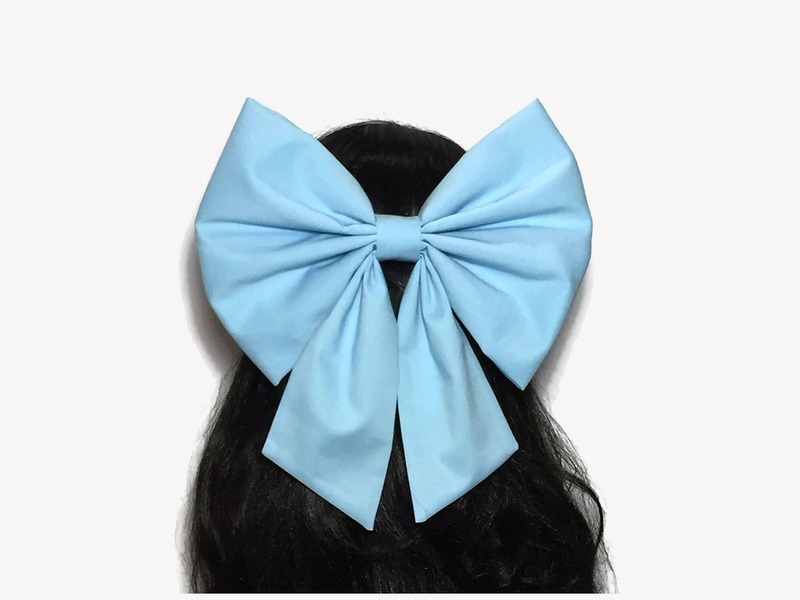 It is a cotton fabric on a light blue color. 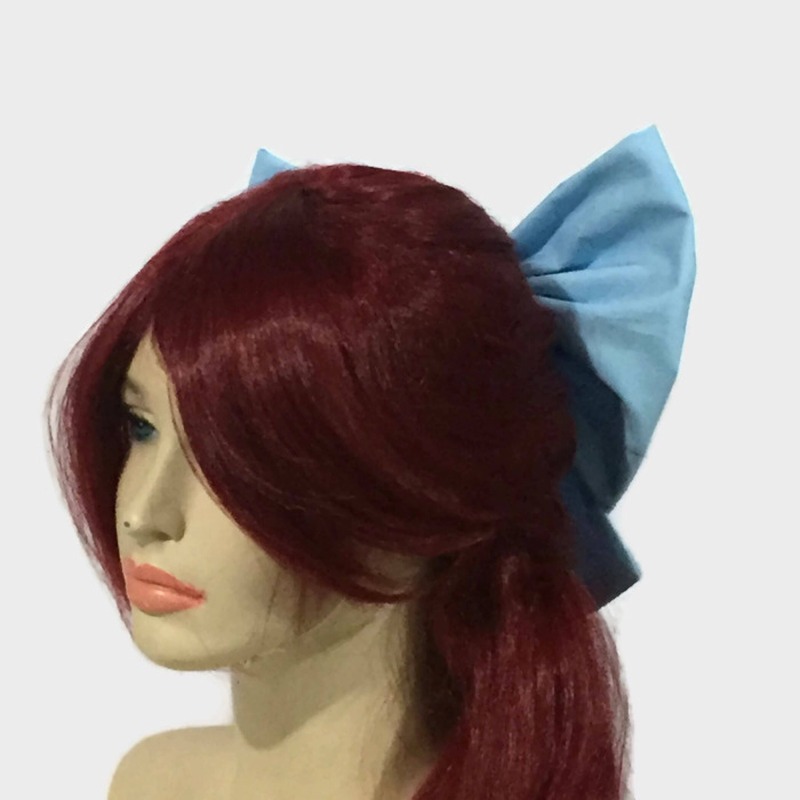 Great accessory to complement a cosplay Ariel costume. 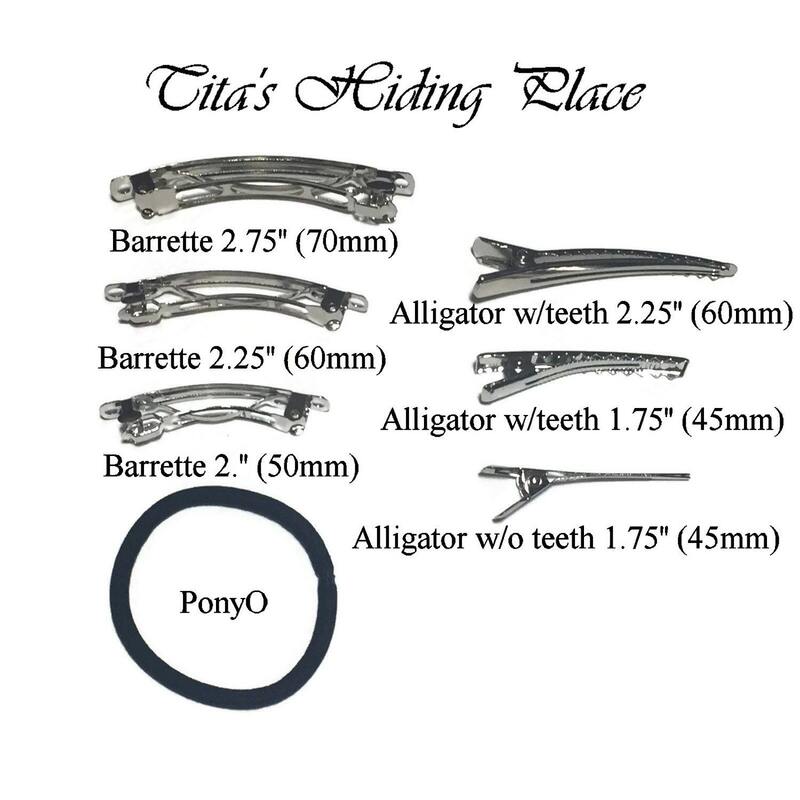 The measurements are about 10 inches from side to side, and 8 inches on height. Tails are about 7 inches long. 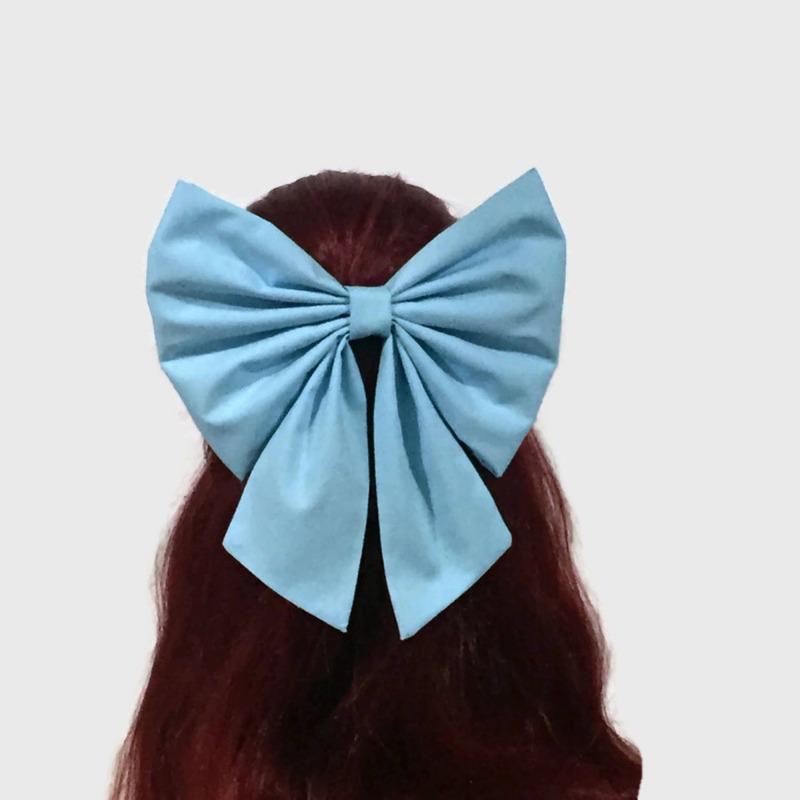 The large size of this hair bow allows it to be visible from the front side too. 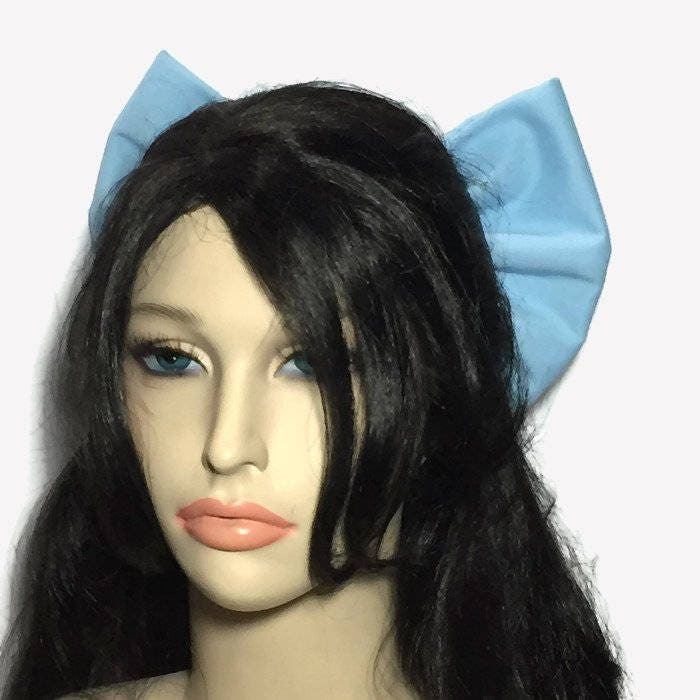 I can make the hair bow in another colors or larger size, just message me your concerns. They were able to make it white which is great. 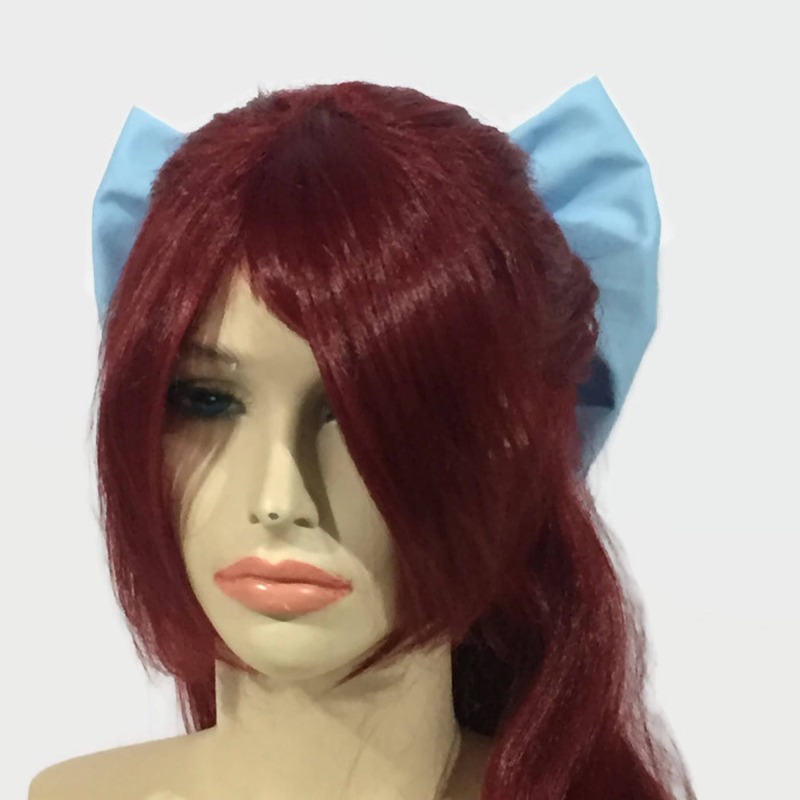 Perfect size for my Aya Drevis cosplay. 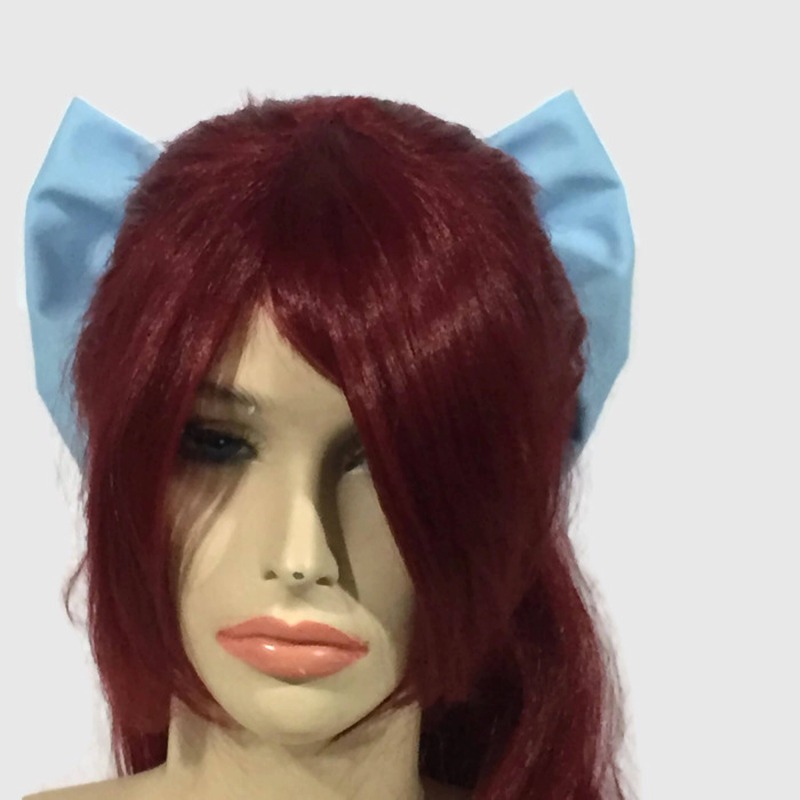 Good price and good quality. Perfect for what I needed it for. Looked great!